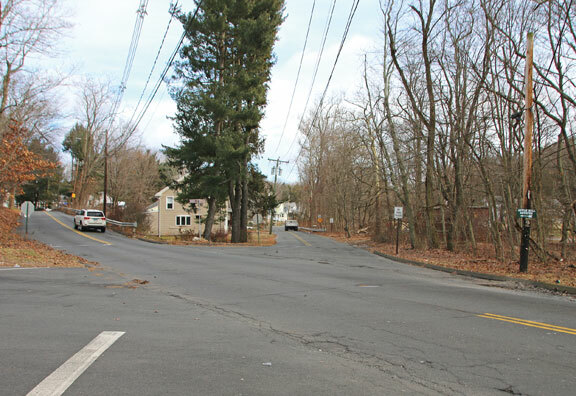 NAUGATUCK — All the pieces are in place for the reconstruction of Cross Street to begin. The only thing the borough is waiting on now is nice weather. The project will reconstruct about 4,150 feet of Cross Street from Route 8 to New Haven Road. The project will include full-depth reconstruction, horizontal and vertical realignments, and widening the street to a uniform 30 feet, as well as a new storm drainage system, curbing, retaining walls, sidewalks and guiderails. The plan also calls for realigning the Cross Street and Cotton Hollow Road intersection. According to plan, Cross Street will be both wider and straighter once the project is completed. The Board of Mayor and Burgesses this month awarded a $3.35 million contract for the work to Bloomfield-based Mather’s Construction. Federal funds will cover 80 percent of the cost of the project. The state will pay for 10 percent, leaving the borough to pick up the remaining 10 percent or about $335,000. Public Works Director James Stewart said Mather’s Construction was the lowest of 11 bidders for the job, with the highest bid coming in at $4.1 million. Stewart said the work is expected to start in the spring. Over the winter, the borough will work with utility companies to make plans on how to proceed during the project, such as moving telephone poles, he said. Judd Everhart, spokesman for the state Department of Transportation, said the project is expected to go through the 2019 construction season, which extends from spring to autumn depending on the weather, and into 2020. As part of the reconstruction project, the state acquired 14 pieces of property, including two full residential properties and small portions of land at a dozen other properties. Everhart said the state bought 16 Cotton Hollow Road, which according to land records was owned by Mark and Donna Ferrari, for $155,000 and 10 Cotton Hollow Road, which according to land records was owned by Anita and Frank Finkle, for $141,000. The other 12 portions of properties were acquired for a combined $117,000, Everhart said. Once the project is complete, he said, the state will turn the land over to the borough. 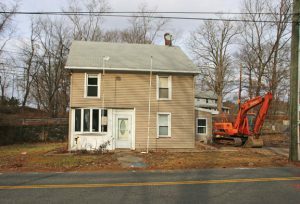 The two houses will be demolished in the spring by Mather’s Construction, Stewart said. The project will be done in two phases, Stewart said. The first phase will realign the intersection of Cross Street and Cotton Hollow Road. Cotton Hollow Road intersects Cross Street at an angle. According to plan, the road will be moved to where the homes at 10 and 16 Cotton Hollow Road now stand and will intersect Cross Street at a T-intersection. The first phase will also include the reconstruction of the southbound lane of Cross Street and building sidewalks along the road. The second phase will focus on the northbound lane of Cross Street. According to Stewart, there will be alternating lanes of one-way traffic whenever possible during the construction.